Step 1 : Login to your blogger dashboard and goto Template option as shown in below image. 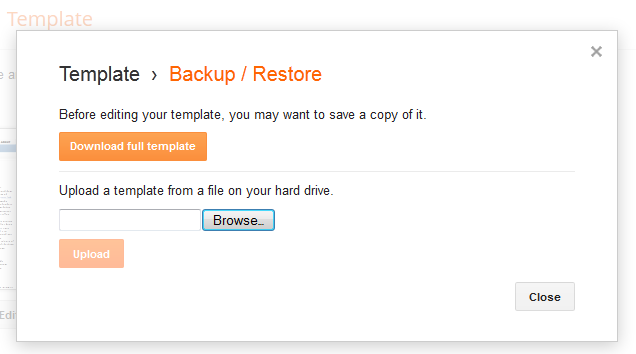 Step 2 : Now in the templates page just click Backup/Restore option which is at the top right corner. Step 3 : A new window will popup and click browse option and select the xml blogger template that you have extracted and after the proper selection click Upload.Note:Before uploading your new theme always download the full template so that if you do not like the new look of the blog you can revert back to the old look by uploading the previously downloaded theme. And finally check your blog for the new look.